Countertops by Superior is New England’s choice for granite, marble and quartz countertops. The company is New England's premier stone fabricator, receiving high acclaim from homeowners, contractors, kitchen designers and architects. The company is built on the two guiding principles of providing the highest quality products available coupled with an unsurpassed level of customer service. We have over 25 years of combined experience in the industry and it is our goal to make the process of purchasing countertops one that is enjoyable and stress free. Alan is a very knowledgeable and skilled kitchen and furniture designer, builder, and installer. His clients' comment that he is "perseonable, honest, and talented." Alan has over thirty years of experience in custom furniture and cabinetry design, building, and installation. His academic career culminated in a BFA from RISD (Rhode Island School of Design), where he studied under world-renowned Danish furniture builder Tage Frid. After a few decades of experience building custom racing sailboats and designing and building custom kitchens with custom kitchen companies, Alan formed KDA Kooris Design Associates LLC. 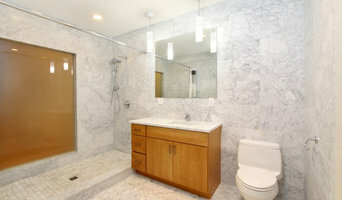 Kooris Design Associates LLC brings a wealth of design and construction knowledge to its clients. Alan utilizes CAD design drawings along with hand-done drawings to help his clients visualize their projects. Alan can design more than kitchens, he can produce beautiful baths, home entertainment centers, offices, libraries or any cabinetry you might need for your home. Alan can also offer his clients any type of countertop surface along with full service installation. Alan is comfortable in whatever setting his work takes him; designing for an audience of architects, consulting with the most discriminating homeowner, or even getting dusty alongside craftsmen installing his designs into a client's home. Give him a call today to learn how he can help you with your next project! Living Stone Granite has been serving the Greater Fall River, Boston, and Providence area for over 7 years. Besides the competitive pricing, untouchable workmanship and quick turnaround, Living Stone Granite has also set the standard for customer care in the stone surface industry. Always focusing on the customer's interest, we offer a one of a kind one-on-one interaction and experience. Combining years of home improvement and construction experience with a strong entrepreneurial spirit, Kristen and Christopher McCormick founded McCormick Home Improvement in 1997. While earning a reputation for quality work and exceptional service, McCormick Home Improvement has become the preferred home improvement company for discerning homeowners. Its trademark has been its commitment to undertaking one job at a time, assuring that the craftsmanship is top quality, the project stays within budget, and is completed as promised. 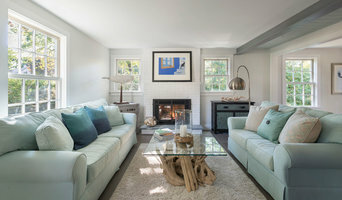 Before opening McCormick Home Improvement, Chris McCormick had worked for over a decade for a home improvement company in South County, Rhode Island and then in property management. Kristen McCormick worked in administration and management. Together, they combined their talents to develop McCormick Home Improvement, a family-owned, full-service remodeling contractor. Top of the Line Fabricators, Inc.
Top of the Line Fabricators is primarily a full service fabricator/installer of acrylic solid surface countertops, tub and shower surrounds, furniture and custom applications. 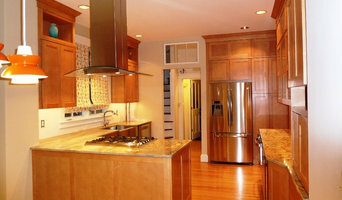 We have most recently expanded to include laminate and butcher block fabrication and installation and complete kitchen cabinet and countertop replacement. CCC Building is an online resource for people interested in Home Improvements and Remodeling projects. At Plank & Vine we truly own your project from beginning to end. As a design-build contractor we manage everything - so you don't have to. We specialize in designing and building exquisite interior and exterior living spaces; whether it's that new farm-style kitchen you've been wanting, the outdoor retreat with garden paths, or the much-needed family media room. Your full service remodeling company. Residential and Commercial. 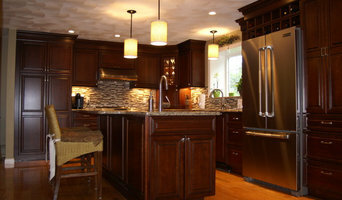 We specialize in kitchens and bathrooms. We offer design build services as well.